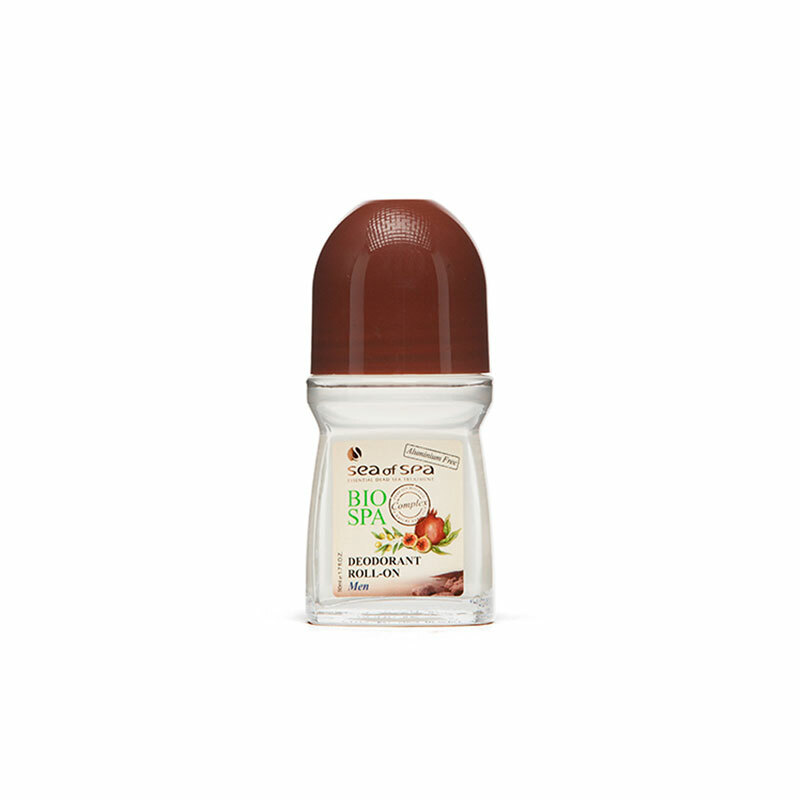 This Terrific deodorant is a 24 hour Men's roll on option from Sea of Spa's Bio Spa collection. Enriched with olive, pomegranate and fig extracts for an ever better experience, this wonderful deodorant is the ideal choice for men with class. The smell is attractive, and the product simple and handy, so this Dead Sea cosmetics item is the best deodorant currently on the market for men. In addition to all of the pluses mentioned so far, the underarms, an area often forgotten and left unpampered can definitely use a bit of attention, and the dead sea minerals in this product do just that, nourishing the skin and leaving it fresh and clean all day. Sea of Spa is known worldwide for high-quality dead sea products, and in their headquarters in Arad, Israel, they create some of the best products for the skin. Propylene Glycol, Aqua, Alcohol, PEG-40 Hydrogenated Castor Oil, Fragrance (Supplement), Triethanolamine, Triclosan, Carbomer, Butylphenyl Methylpropional, Olea Europaea (Olive) Fruit Oil, Punica Granatum (Pomegranate) Fruit Extract, Ficus Carica (Fig) Extract, Dunaliella Salina Extract, Limonene, Linalool, Hydoxyisohexyl-3-Cyclohexene Carboxaldehyde, Hydroxycitronellal, Hexyl Cinnamal, Coumarin, Alpha-Isomethyl Ionone, Citronellol, Geraniol.